Hire this awesome compact vehicle – it may be small on the outside but there is plenty of room on the inside. With its dynamic performance and agile manouvering, the Picanto will get you out of a tight spot. The Picanto’s stylish dashboard combines driving and effortless entertainment. It feels spacious, wide-open and impressively modern. It’s a compact car, but you get it all; headroom, shoulder room, plenty of legroom, and even a comfy front centre console armrest. Whether you’re transporting people, cargo, or a mix of the two. Enjoy a day out shopping, a road trip, or have the space all to yourself. Reliable, efficient and fun when you need them to be, the Picanto’s engines and transmissions offer you a boost of confidence as you drive through life. 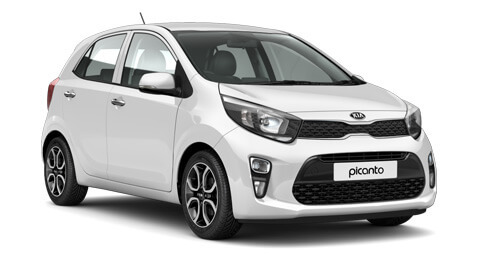 For an easy drive we recommend this Kia Picanto automatic for you to hire from Pace Car Rental! Choose our long term car rental plan so your wallet can rest easy. Call us at Pace Car Rental Johannesburg on 011 262 5500 or email your car hire inquiry to info@pacecarrental.co.za. You can also book online now!